Has your child ever said to you "...but Mom, you promised."? I know that my children have said that to me. And when they do, I try to deliver what I said because they said that I promised. And I want to do what I say for my children. And if I, who am but dust, can muster up something to deliver for my children, wouldn't God do more than I could ever do? Absolutely. When life looks a hot mess, remember our Heavenly Father promised to make everything beautiful in His time. 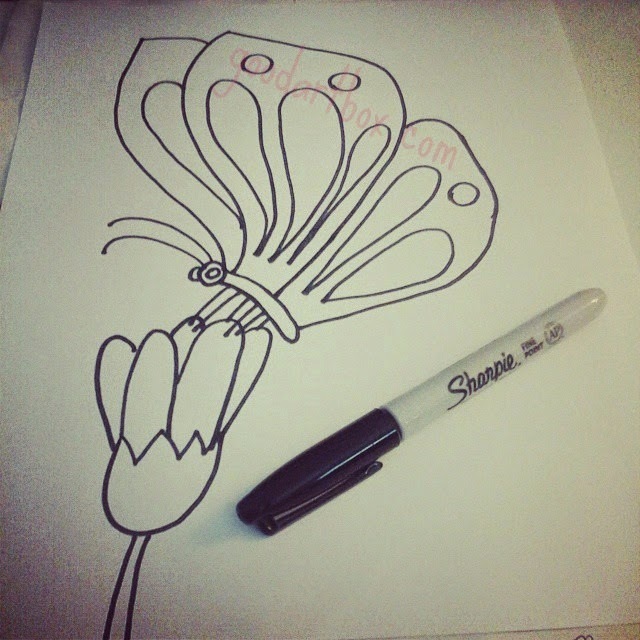 For the butterfly and flower drawing, I simply followed these steps here. Sharing this post with Lisha Epperson's Give Me Grace here.